Can a pair of headphones ever truly be perfect? Is there really an audio nirvana to be found within a pair of cushioned cups? Australian-based firm Audeara seems to think so, and its just headed to Kickstarter with a new design that combines audio fidelity with medical engineering. The brainchild of two doctors, the Audeara headphones were created to provide an affordable, home-based device that could perform an accurate audiogram (a test of your hearing) without the need to waste away on a doctor's waiting list. Since practically all of us have some form of hearing loss (whether we know it or not), most of us are probably not getting the headphone-based music experience we should we getting. That's how Audeara's aiming to surpass every other set of over-ear headphones. You can use your Audeara headphones to perform an audio test on each ear, this data is then saved to each cup so the music or audio you're listening to is adjusted to make sure you're enjoying the entire signal as it was intended. It's a pretty radical idea and one we can't wait to try out. 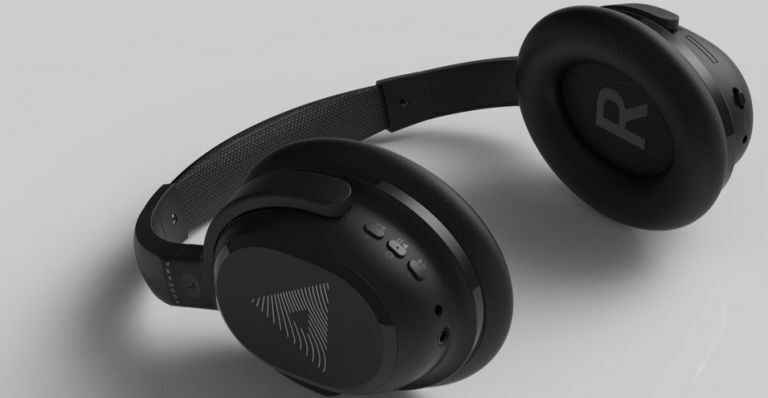 If the Audeara headphones have caught your eye/ear, you can pre-order a set today on Kickstarter for only AUS$249 (£156) as part of its early bird deal. That's a whopping AUS$250 off the retail price! Meet the Titan from Joseph Joseph - this cleverly designed trash compactor features an innovative compaction system that’s both hygienic and mess free, allowing three times more waste inside, without tearing your liners. How does it do it? Well, the Titan uses a patented, hygienic compaction system ensures only the inside of liner touches the trash, leaving you with clean hands and a clean bin. Titan also features anti-tear technology that guides the liner downwards as you compact, and air channels so a full liner can be easily removed. Discreetly integrated into the lid is an odour filter compartment that holds a replaceable carbon filter, to help eliminate any unpleasant odours. The Joseph Joseph Titan bin will retail for £199 and will be available from May 2017. You can order one from jospehjoseph.com or John Lewis. The smart home is definitely going to be a thing in 2017. Definitely. This time we really mean it. California-based firm Neato Robotics has announced a brand new integration with Google Assistant on Google Home, available across its entire Botvac Connected robot vacuum cleaner series. That's right, you can use your handy little Google Assistant to control your Botvac robotic cleaner with your very own voice. So when you’re at home you can just say, “Ok Google, tell Neato robot to start cleaning,” for a completely hands-free clean. This integration enables you to check battery level, locate their robot vacuum with the FindMe function, and schedule a cleaning cycle, all through the power of voice. Neato offers the widest range of choices to operate your robot vacuum, including the Neato App, Amazon Alexa Skill, Neato Chatbot for Facebook, and now, the Google Assistant. Google Assistant is out now in the US, and is due to arrive in the UK later in the year. The Neato Robotics Botvac D5 Connected is available now for £592 from Amazon.